A Primer on Displacement | Christian & Co.
Often I obtain boat weights from a Marine Travelift’s operator and usually it is more than the listing specification’s displacement; I wonder why? Researching the answer (on Wikipedia, WoodenBoat forum and other on-line sources) enlightened me on a few interesting boating terms and concepts. At the root is Archimedes’ Principle, displacement and buoyancy. Displacement is the weight of the water a boat displaces when floating still. In other words, the weight of the water that would be spilled out of a completely filled container when a boat is placed in it. Archimedes’ Principl e says that the weight of the boat is reduced by its volume multiplied by the density of the fluid. If the weight of the object is less than this displaced quantity the object floats, if more, it sinks. A boat will displace the same weight of fluid, regardless of the fluid, thus it will sit lower in fresh water than salt water because fresh water is less dense. Thus the weight of the hull, structure and everything inside is precisely the displacement. There are physics arguments about weight being matter under the acceleration of gravity, blah, blah, blah and displacement being primarily about volume, (read – boring) but for us common boaters – forget about it, weight = displacement. This concept only applies to boats afloat, when sunk they only displace the volume of material in the boat, not the weight. Equal size cubes of aluminum and gold displace the same amount when sunk. By the way, I solve sunken boat mysteries, and it’s always the same cause, too much water on the inside. Ton is derived from “tun”, a large wine barrel. Net Tonnage (NT) replaced Net Register Tonnage (NRT), which denoted a ship’s revenue earning spaces in Register Tons, units of volume equal to 100 cubic feet. 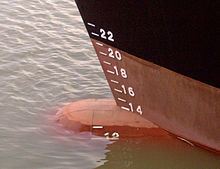 NT is a dimensionless index calculated from the volume of a ship’s cargo spaces using a mathematical formula. Gross Tonnage (GT) is related to the ship’s overall internal volume and is used to determine manning requirements, safety rules and fees. Tonnage specifications have nothing to do with weight, so you can’t calculate how much your boat weighs based on your U.S.C.G. Documentation’s Gross Tonnage or Net Tonnage. It is these legal definitions that allow naval architects to design relatively large boats with relatively small crew requirements and to reduce expenses. So why am I told boat weights that are more than published displacements? There is no standard for manufacturers’ published displacement and a lighter boat is often considered better by the buying public. The weight of a boat on a travel lift’s scale includes everything aboard, including equipment that has been added, personal effects, paint, varnish, spare parts, water and possibly absorbed water. The scales are not required to be certified, are rarely calibrated, and are primarily used for balancing the load. About one third of the travel lifts’ scales I use are completely inoperative, but these scales are usually our only option, so if you have your boat pulled out, ask for and record the weight. If a true weight is desired or required (as in competitive sailboat racing) we rent and use a load cell as the weighing device. A weighbridge or truck scale is also very accurate but the opportunity to use one is rare, if you have your boat transported overland ask the trucker for the weight, it will be very accurate. Now that we have cleared up weight, displacement and tonnage, how long do you think your boat is?